Love. Create. Celebrate. 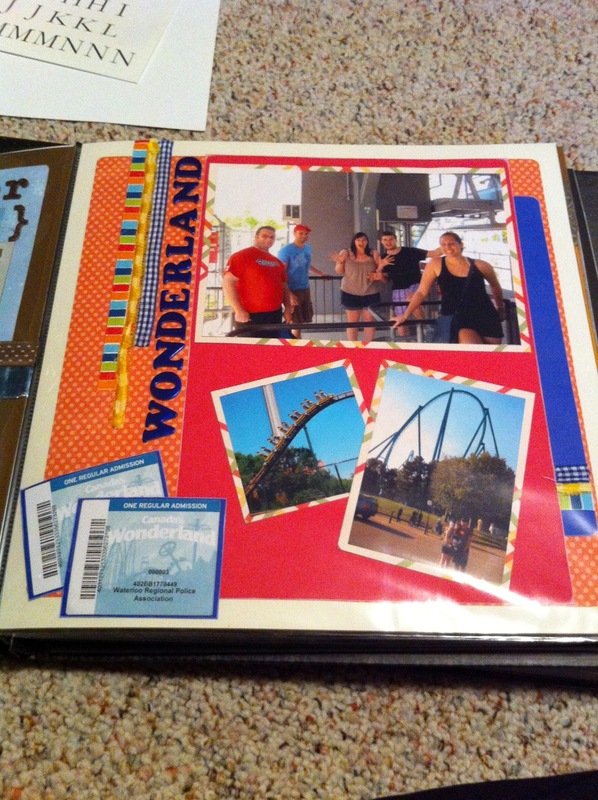 : Scrapbooking! 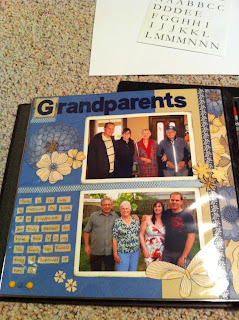 Just in case you think I haven't been doing anything in my spare time, I've added these scrapbooking photos. There. Now you know I kept busy on at least one night! I actually had this idea to put a scrapbook out on the guest table the day of the wedding. It'll be filled with pages of Russel and I and things that we have done together. I'm really excited to put it all together! The only problem is that all my pages don't fit into one book - so now I have to pick and choose from some of my favourites. PLUS I haven't even made the engagement pages yet!! SOO many wedding decisions! Nice! That would be really fun for people to look at on the wedding day too! need to catch up soon, maybe i'll try calling!